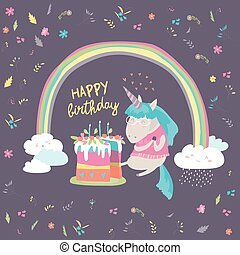 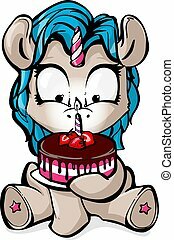 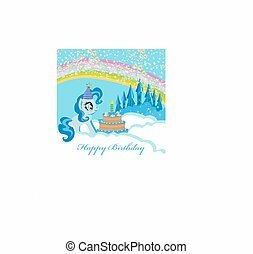 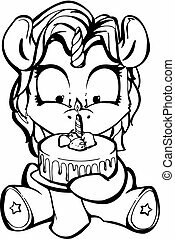 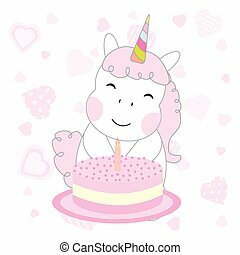 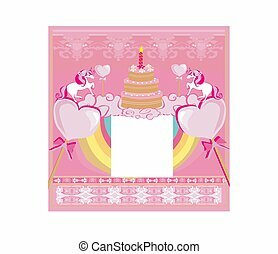 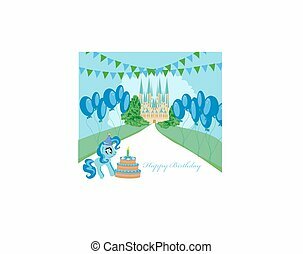 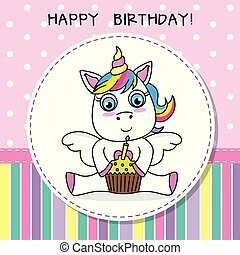 Frame with unicorns and birthday cake. 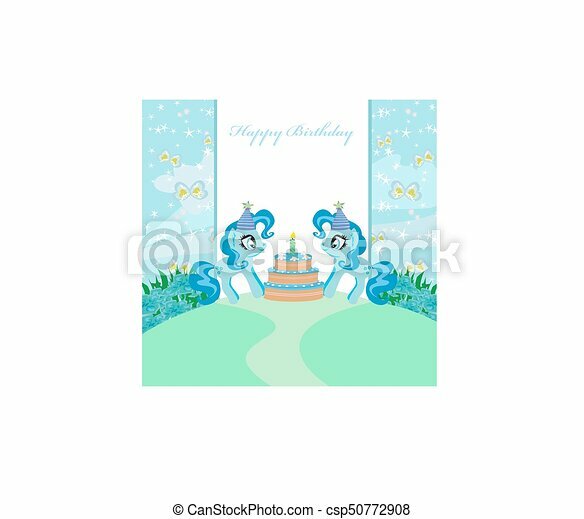 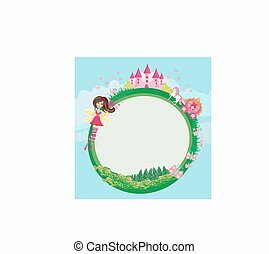 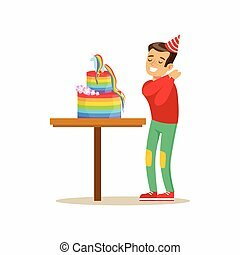 Greeting card for happy birthday with floral frame. 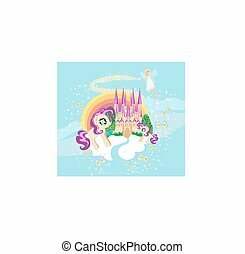 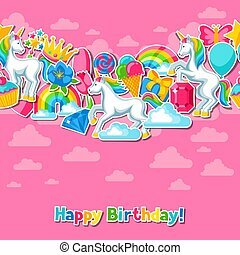 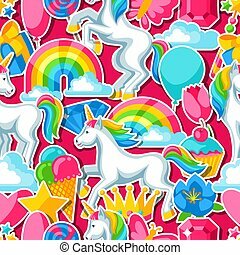 Vector seamless pattern with unicorns, donuts, rainbow, hearts and other elements. 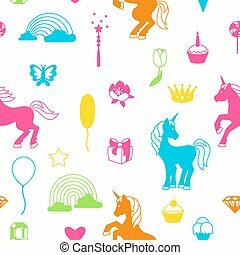 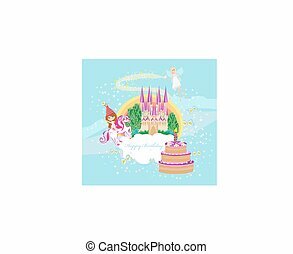 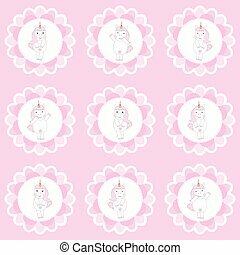 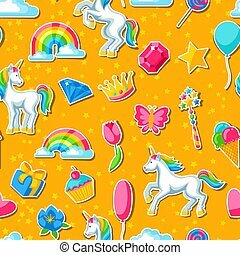 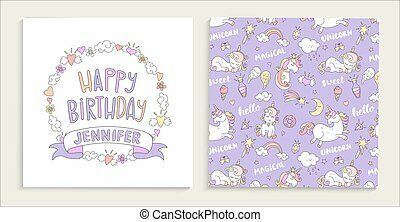 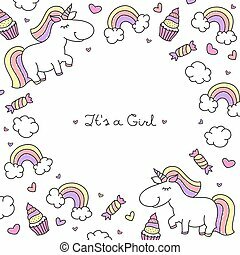 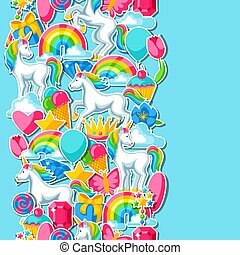 Seamless pattern with unicorns and fantasy items.